Will T-Mobile follow its competitor AT&T in launching a skinny streaming OTT bundle of content? The answer is no, according to COO Mike Sievert. However, the carrier is planning a significant foray into streaming video this year, though it plans to zig where AT&T zags. Speaking on T-Mobile’s quarterly earnings call, Sievert outlined two parts of T-Mobile’s video plans: a mobile strategy focused on “helping you choose the subscriptions that makes sense, building for those things, search, and discovery of content,” and a home-based strategy built on the Layer3 TV platform. On the mobile front, Sievert was unequivocal that the company would not be launching a competition to AT&T’s WatchTV skinny bundle. Instead, the company wants to help consumers navigate the increasingly crowded streaming video landscape. T-Mobile already bundles a Netflix subscription with some of its top tier plans. It appears ready to expand those offerings. “Customers have an incredible array of optionality today through the massive expansion of OTT services. It's a subscription-palooza out there,” Sievert said. “Every single media brand either has or is developing an OTT solution, and most of these companies don't have a way to bring these products to market. 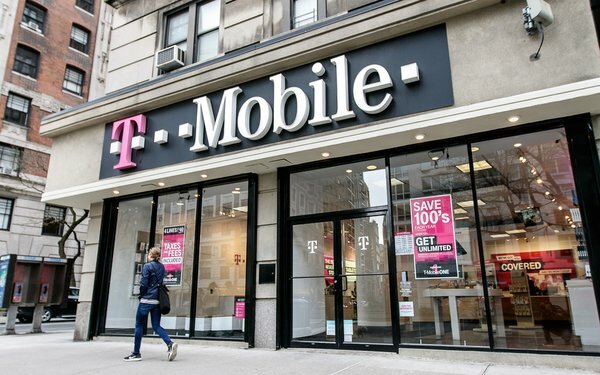 T-Mobile wants to help its customers discover new streaming services, and help streaming services acquire new customers. On the home front, Sievert remained coy, while acknowledging that the company missed its original deadline of the end of 2018 to launch the service. He now says he expects it to come to market in the first half of this year.